Stitches : SC, DC, Chains, FLO, Sl St, Picots. Stitch explanation and chart is included. Hook – 6.50 mm or hook needed to gauge. Gauge – 12 sts X 6 rows in DC is 4″x4″. 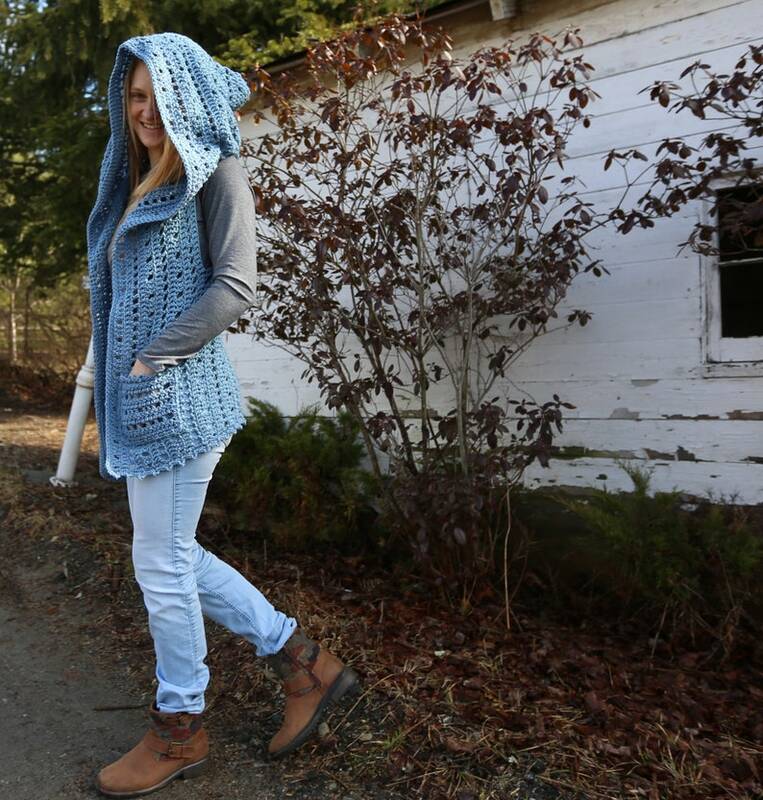 The Winnie Hooded Vest is worked in one piece using one simple seam to create the hood. Oh, and don’t forget the pockets!!! The Winnie has a simple, yet classy edge that finishes it off just right! This light and airy design is perfect for a trip to the beach or the pool! Add a button or toggle and use the oversized hood to pull down and wrap around your shoulders! 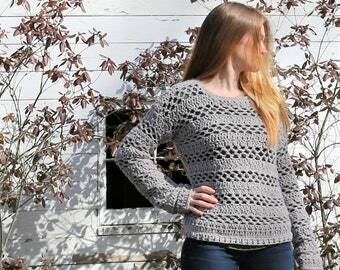 It is also perfect for spring or fall over a cozy long sleeved shirt! The fashion possibilities are endless with The Winnie! Feel free to use the size and stitch count charts to make a more custom size. This pattern is fairly easy to customize if needed. Make note that this stitch pattern is worked in multiples of 4 +1. Tag @life.and.yarn and use #LifeAndYarn and #TheWinnieHoodedVest to be featured! Subscribe to my newsletter for more paid and free pattern releases. Sizes are confusing. I made a large and it would fit a child. Maybe my stitches are too tight? There isn't much direction on what size you should make but other than that the pattern itself is easy to follow and the design is nice! Took me a long search to find a pattern like this. Really wanted a pattern with a large hood. I have a lot of hair. Thrilled. Great original pattern, though I will most likely add sleeves. Wonderful seller. Such a gorgeous hoodie and well written pattern.